There has been absolutely nothing else added to this Spinach, Apple and Swede pouch except what's in the name - just 100% organic fruit and veg with nothing to dilute its goodness, not even water. Pureed Organic Apples (55%), Pureed Organic Spinach (34%), Pureed Organic Swede (11%), Other Stuff (0%). 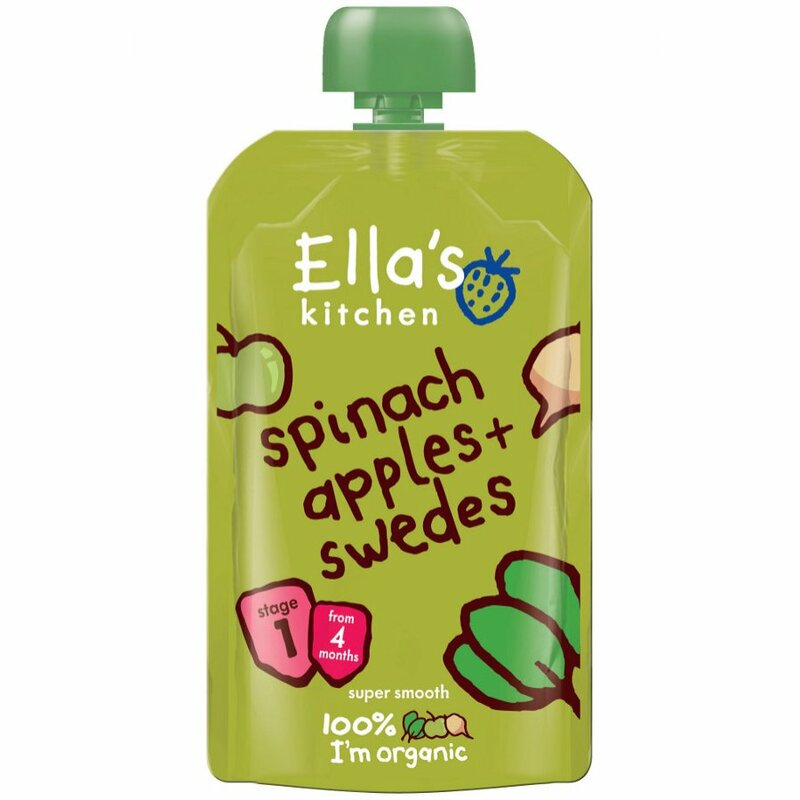 The Ella's Kitchen Spinach, Apples & Swede product ethics are indicated below. To learn more about these product ethics and to see related products, follow the links below. My baby hated this one! 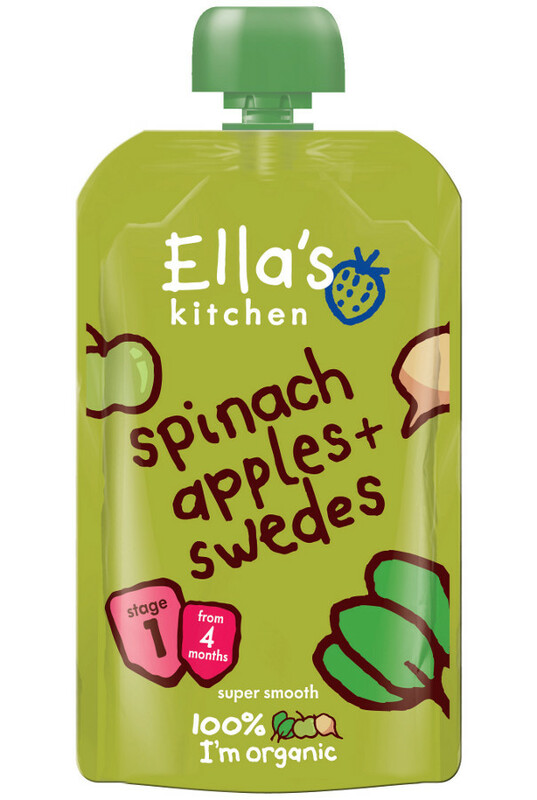 There are currently no questions to display about Ella's Kitchen Spinach, Apples & Swede.